That means for any liquid or semi-liquid food such as wine, beer, peanut butter, honey or cooking oils, just remember 42. Readers of the Hitchhiker’s Guide to the Galaxy may recognize this number as the ultimate answer to life, the universe and everything. Once you start talking dry foods the weight really starts to vary. This is a small list to get you started in planning for how many buckets you will need to store a given weight of certain foods. It also happens to be a great list to get you started in thinking about different foods that can be stored long-term! Hint: use the keyboard shortcut Ctrl+F to search this page for the specific food you are looking for. Our gratitude for the commenters who noticed the glaring mistake in the original article. Whoops! Adapted from a list provided by USA supply. I believe the calculations are correct for the conversion ratio kilo to pound are you sure that it is incorrect? 1 kg. = 2.2 lb. Love the site, but I think you may have pounds and kilograms mixed up. Math is off. 2.2 poumds per kilo. I think you have your Kg and your lbs flipped. Since one Kg is heavier than one pound. Your conversion from Pounds to Kilograms is incorrect. 1kg is about 2.2lbs so Black Turtle beans @ 35 lb. is 15.7kg than not 77kg. You might want to check the pounds/kilogram conversions. The standard is about 2.2 pounds per kilo. Seems you have this backward. UM- the measurements are all messed up- are the lbs and Kilos backwards? because Beans 35 lb. sure does NOT equal 77 kilos…….. So, what about something like salt or sugar? Nevermind. I just bought a bunch and did it. Salt is about 40 lbs. Sugar is oddly about less at 35 lbs. Like this article a lot. But, 5 gallons = 0.71 cu. feet ? Seems wrong. Maybe the inverse. 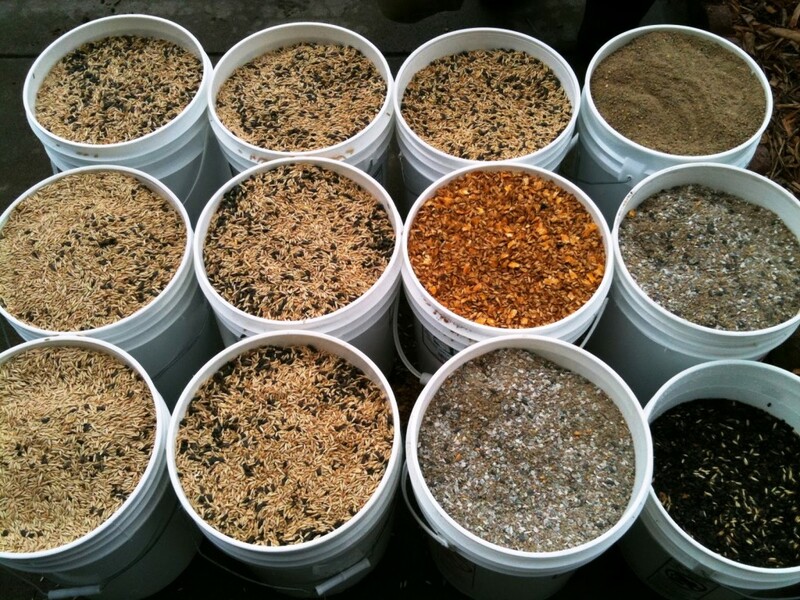 Were can bulk foods like what’s listed be purchased at. I found rice, beans, and sugar in 25lbs or greater at Sams Club but that’s about it at those volumes. For instence the largest salt volume was only in one pound unit’s. Also, bulk planting seeds… who sells them? Mark- Case lot starts tomorrow- look for bulk or go the the Home Storage Center for the Church of Jesus Christ of Latter Day Saints. Off 700 east about 8400 South. Tou can also buy large quantities at sams club and the like…generally 50+lbs. for your granins but tou may find larger quantities in you sugar as well….Winco is another good place for bulks. do you know how much salt fits in a five gallon bucket? Vietnam soldiers are ww2 c rations . They were fine . Leave the guy alone about the math! We fill 5 gallon buckets weekly with flour and sugar. The flour (all purpose) you can JUST fit 25# in each bucket after some leveling. Sugar (Pure white cane sugar) you can fit 33.3 pounds in each 5 gallon bucket. It headset was like beautiful while in the visualize. That arrived promptly. I’d suggest using a towel above every single layer as you push that it off w / any vapor iron. It doesn’t vapor out with merely a steamer. That the iron had been necessary. It can be fragile, when you you should not trust personally because of the towel to steam iron, after that choose information technology to a certified. Gorgeous sound. How many KGS make a gallon of maize? Any article references to storage life of products stored in 5 gallon buckets?